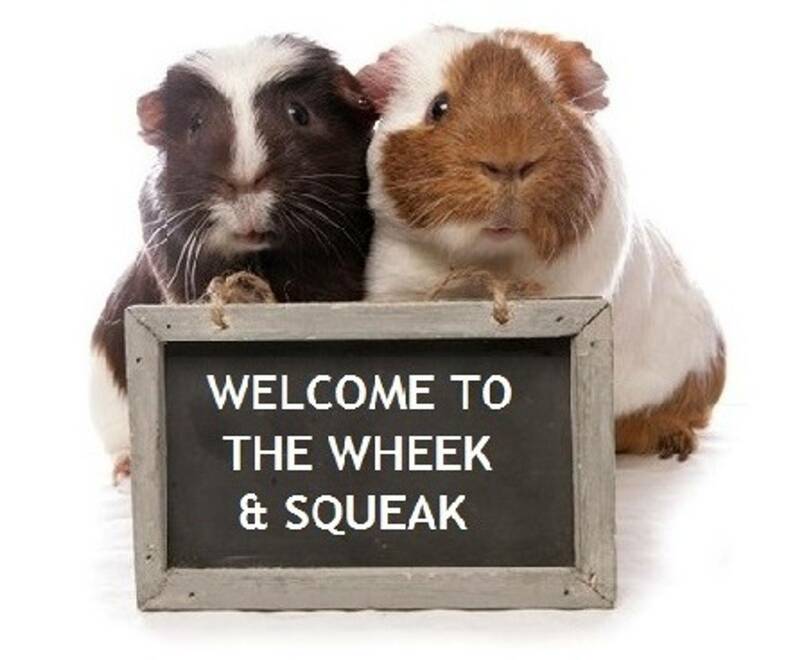 The Wheek & Squeak Guinea Pig Rescue and Boarding is based in Bishops Waltham, Southampton, Hampshire. The Rescue is a charity run from our home and we take in unwanted guinea pigs regardless of age or illness and they will be taken care of until a suitable home is found for them. The Rescue is entirely dependent on donations and fundraising. Some poor piggies arrive in an appalling state and are nursed back to health with the assistance of our vet. When guinea pigs are adopted from us they have the full support of the Wheek & Squeak for their lifetime. In some cases, usually through ongoing health problems, guinea pigs cannot be rehomed so they will stay in our retirement section and spend the rest of their days with us. Guinea pigs are a friendly bunch and hate to live alone. They can become very lonely and sometimes pine and go off their food. We do try to help with finding your guinea pig a new friend. This can be pairing up males with other males or females with another female. It has been said you cannot pair males together, especially when they are mature. This just isn't the case, we have been successfully pairing up male piggies since 1998 and have a wealth of experience in guinea pig compatibility and body language. The requests for this service has been far greater than we ever envisaged and we have been unable to keep up with the demand. We have therefore made the decision to give priority to people who have adopted guinea pigs from us before. We will help others when we can but our time is limited. We are very passionate about guinea pigs and their welfare, and try to educate people as to their correct care. During the year we run afternoon or evening courses on 'Introduction to Guinea Pigs' and 'How to Bath and Trim your Guinea Pig'. You can also read our information on the correct care of a guinea pig, what to feed, health checks, how to clean hutches and what to buy when preparing for your new guinea pigs plus loads more information. We are also aware that many people cannot trim their guinea pigs nails so we do FREE NAIL TRIMMING to any guinea pigs. All you need to do is contact us and arrange a time to pop over. I have seen some horrendously long nails on some guinea pigs and cannot imagine how uncomfortable it must be for them. 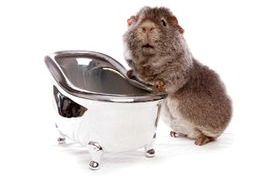 You can also book your guinea pig in just for a bath. This can be just for a general bath and remove the grease from the grease gland area or can be to treat some skin problems i.e lice or fungal infections. If you are uncertain what bath they will need we are happy to advise on this. We also have a shop at the Rescue where you can buy a whole host of things for your guinea pigs. We supply hay, megazorb, readigrass, timothy hay, natural treats, Wagg Twitch, Wagg Optimum and Excel (other food available on request), shampoos, selection of little houses, wooden arches, tubes, water bottles, a large selection of dishes, carry cases, willow and seagrass toys, paper bags, hutch cleaning sprays and much much more. If you would like to help and become involved in the Wheek & Squeak there are many ways you can support us. We need volunteers to help with feeding, bathing and cleaning hutches. 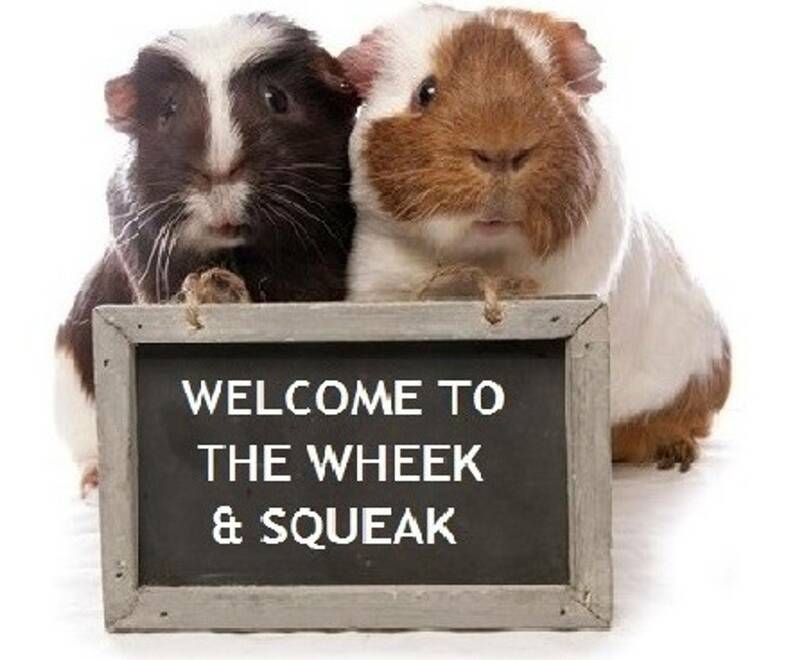 You can become a Friend of the Wheek and Squeak Guinea Pig Rescue. 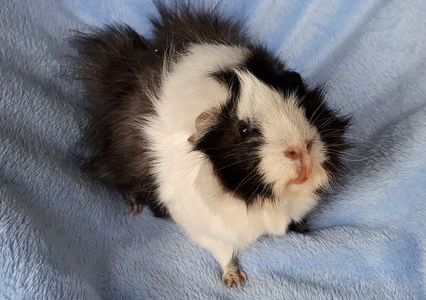 If you are interested in adopting a guinea pig please go to Adopting a Guinea Pig page where it will explain our adopting policies and procedures. We are always happy to give advice either by phone or email, if the answerphone is on, please leave a message and your call will be returned as soon as we can. If it is a lengthy query please phone rather than emailing. By signing up with Easyfundraising, every time you shop online, Wheek & Squeak will get a donation at no cost to you. So please take a few minutes to sign in and help the piggies in our care.